Earlier this year I found myself at a local beer festival, one very cold Friday night in January. The organisers had done an excellent job buying in mostly local ale with a flirtatious sprinkling of exotic ales that weren't from round 'ere. For what it's worth, I consider 'local' to be breweries broadly within the scalene triangle that you could draw on a map to join Basingstoke, Reading and Guildford. There is actually a good number of breweries within this triangle, ranging in size from positively micro up to those with their own hop farm. I haven't counted them but I'd guess at more than 10, yet probably a lot less than 20. So, with only somethingteen breweries in our modest triangle, when a new brewery appears on the scene I'm always keen to sample their beers. I'll also try to pop along if I can to say hello and have a nose around the brewery, trying (and usually failing) to avoid making a nuisance of myself. 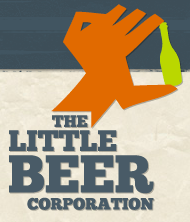 Little Beer Co was born in 2013. I recall reading in the local press about how they were actively involving the local community in what they were doing, probably around the time they were moving to new, bigger premises with bigger kit in mid-2014. I also had a look at their rather lovely website and sighed wistfully as I read their manifesto, which struck a bit of a chord with me, as did their list of beers which is certainly more diverse than the local on-trade typically goes for, with several of them designed for keg only. The first time I saw their beer in the wild was at a different local festival in late 2014. 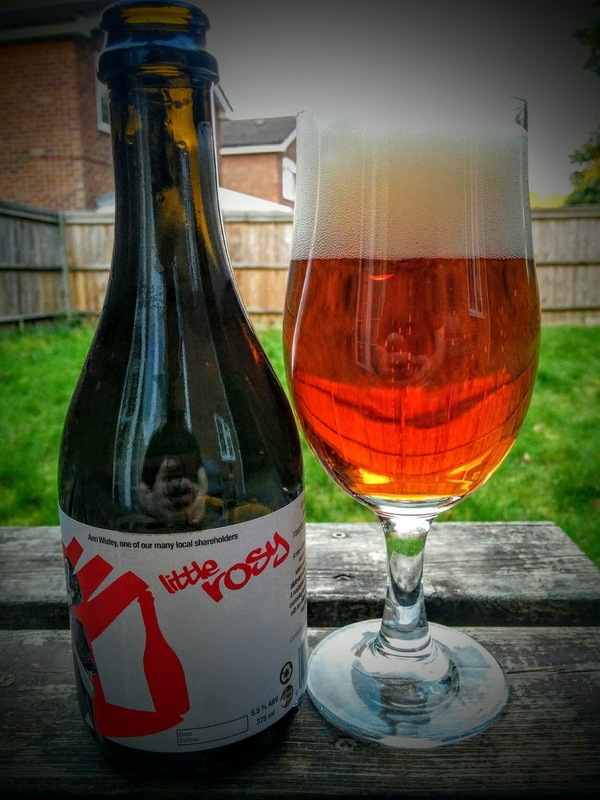 It was Little Rosy, their Raspberry Wheat beer. Now, wheat beer for me is a something I like to drink in the summer, preferably cold and enjoyed in a pub garden (I'm a sucker for a chunky pint glass of Hoegaarden, which I find pairs wonderfully with warm summer evenings). However, this was a strip-lit sports hall and the beer was poured from gravity, probably a good bit warmer than cellar temperature let alone anything near that of chilled keg dispense. I noted it was slightly sulphuric and astringent. I didn't enjoy it but made a mental note to try it again, hopefully from a cold bottle or keg line. The festival in January afforded me my second nibble of Little Beer Co's range. This time it was Little Vienna, described as a biscuit-coloured Vienna lager that breaks the style rulebook by using Nelson Sauvin hops. Mmmm, Nelson. A hop I pretty much obsess over. Anything mentioning Nelson in a festival program usually has me sampling it at some point during proceedings. I ordered a half (gravity again in this case) and poked my nose in, hoping for a whiff of that gooseberry-like aroma I so love. However, green apple was all I got. A reluctant taste found mostly the same and my tasting notes say only "Green apples from nose to finish". Acetaldehyde is sometimes intentionally present at a low level in lagers, with Budweiser being an example of that - but in this case, I wondered if it was maybe just my palate being shot and playing tricks on me - it was pretty late on. Or perhaps this just wasn't the best way to serve this beer and it had suffered miserably as a result. The only point of reference I could recall for the style was Sam Adams and that's generally served from keg too. I typed my notes into Untappd (noting when and where I'd had the beer, as I always do if I'm not happy with it in case the brewery is reading comments), and moved on to something else. The next morning I was surprised to find a DM from @LittleBeerCo in my inbox. A connection I have on Untappd (Richard Newberry) works part-time for the brewery and had pointed the owner and brewer, Jim Taylor, to my comments and twitter account. Shortly afterwards I had a chat with Jim on the phone. It was a straightforward and honest exchange. I described what I'd experienced and he explained what the beer is intended to taste and smell like, stating that Nelson is used late on and that he too is a fan of the distinctive aroma it delivers - one that he also uses elsewhere in more hop-forward styles in their range. He invited me to pop along to the brewery to give Little Vienna a second chance and offered to show me round. Jim seemed to genuinely care that I'd not enjoyed his beer at its best and wanted to put that right. I took me far too long to eventually visit the brewery in Guildford, but a Saturday afternoon drive back from Gatwick via the A3 presented an ideal opportunity to drop in. Jim was busy transferring a beer when I arrived but pointed me towards the brewery shop at the far end of the building. On the shelf I found both Little Rosy and Little Vienna (£2.80 each) so I grabbed those and browsed through the rest of the range. By the time Jim appeared again to take payment, I'd grabbed another four (different) bottles and a delicious looking loaf of bread, baked locally using Little Beer Co beer in place of water in the dough. The card reader was one of those fancy iPad connected ones and my details popping up on the screen saved me from an awkward introduction. True to his word, Jim took time out to show me round the operation. It's a 10BBL setup in pretty spacious surroundings. The beer being transferred was destined to be kegged the following day, so we got talking about their approach to cleaning and filling kegs and particularly the conditioning process. Little Beer Co packages in cask, keg and bottle onsite with cask or keg generally being selected based on what suits the style best. On arriving home, I cut some doorstep slices off the lovely fresh loaf and swapped the last of the Cornish Cruncher in the fridge with the two bottles I was so curious to try again. The strong bite of extra-mature cheddar was the perfect match for the slightly sweet, crusty bread and the sandwich was polished off long before the bottles had chilled down. A couple of hours later, Little Rosy was opened with a satisfying hiss and a wisp of smoke. It poured a light copper colour with a soft red hue and delivered a fluffy white pillow of foam as the glass filled. The nose is nuanced with sweet malts being nudged politely aside by wild raspberries as the aroma develops. The mouth feel is champagne spritz, which washes the crisp flavours around satisfyingly before the gentle, tart finish cleans everything up leaving you wanting for more. 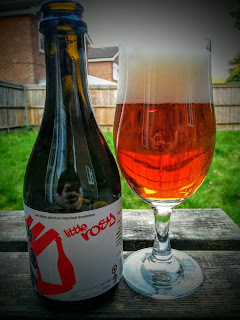 I enjoyed this beer in the garden and found the experience refreshing and rewarding - a far cry from that delivered by the beer festival at which I'd first tried it. Little Vienna poured a similar pale copper colour with a thin off-white head. There was no sign of the green apple I'd experienced last time around. The aroma is a mix of brown bread as it's being toasted and a distant fruitiness that I couldn't quite put my finger on. Not the full on Nelson gooseberry and white wine grape you'd expect if this had been hopped like an IPA, but of course it isn't an IPA, it's a Vienna Lager which is primarily a malt-led style. The flavour has a lovely toasty malt character with just a hint of that Nelson hop profile, which combined deliver supreme drinkability. As the glass emptied I found myself wishing I'd drunk it alongside my hastily assembled cheese sandwich earlier. I'd learned something here as both a drinker and wannabe brewer. As a drinker, don't be afraid to give beers or breweries a second chance, especially if you suspect the first experience was of a beer served far from its best. I've been guilty in the past of hastily writing things off, quite possibly to my loss with hindsight. Do give honest feedback however, but be constructive rather than dismissive. As a brewer, don't be afraid to engage customers who perhaps had a bad experience. A couple of minutes spent here or there can go a long way towards connecting you with those who buy your products and what could be more satisfying than having a previously unhappy customer not only vowing to come back for more but wholeheartedly recommending others do the same? I met Jim for the first time this week. Never seen his beer on cask, or keg for that matter, but have had bottles occasionally. Come to think of it, I haven't seen any on keg myself - just cask and bottle. Not that I'd expect to locally. I remember them tweeting about some events in London so maybe that's where it's all going. I really like the last paragraph Andy.